You know you want to do it. To tell someone what you really think. Kids do. Why can’t we? Of course, sometimes adults do. Well meaning, or not. 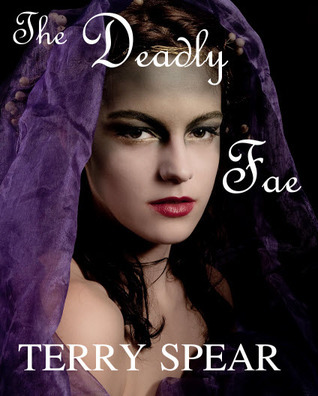 In my fae stories, the fae tell it like it is. Nothing personal. They’re just being the fae. Niall, a royal member of the Denkar, aka the dark fae, is visiting South Padre Island when he catches a winged fae painting graffiti on a wall on the island claimed by his people. He is at once fascinated with the lovely girl and intrigued by her audacity, but as one of the Denkar, he must take her to task. Yet she’s armed with a sleeping potion that makes his life intolerable. Between freeing her from his people’s dungeon, her own tower, and fighting a knight in her honor, he wonders if he’s lost his mind over one beautiful winged fae–when she’s betrothed to his cousin! Serena turned around to see what looked so lovely on the woman and stared at the ugly monstrosity—the dress, not the customer. Although anyone wearing the dress would instantly look nearly as awful—the gauche colors, the hideous billowing sack, the ragged edging on the sleeves and hem of the dress as if the seamstress had forgotten to hem it. If that didn’t do it, nothing would discourage the woman from buying the dress. Yet, Serena loved the gaping look on the customer’s face, and on the store clerk’s, too, and couldn’t leave well enough alone. Although if she’d been truly in a mischievous mood, she would have encouraged the woman to buy the goddess-awful dress. A hand seized Serena’s shoulder, and she was so startled, she shrieked. I swear the fae were messing with me today. I had to change yet another darn smoke detector’s battery. There are like 10 in the house! Talk about total overkill, and it really hurts the dogs’ ears. So, first, I’m trying to figure out which one it is. In the direction it was, there are three. Then I can’t reach it with the 8 foot ladder without lifting a bedside table and moving it. Then I finally could change out the battery, and as I was moving the table back in place, the drawers were falling out and I bumped one of the legs against the wall, very narrow space there, and skinned up the paint on the wall. I know the fae were up to no good. Not saying they moved the wall in closer, but the drawers, helping to push them out, yes. Then I carried the ladder back out to the garage and set it against the wall. Only it didn’t stay there. Now this is definitely where the fae were involved. They pushed the ladder against my car and dented it. I’m off to work on Cougar Magic, should be halfway done today, but I’m out to fix the fae once I can. The Blog Tour Has Begun!! !